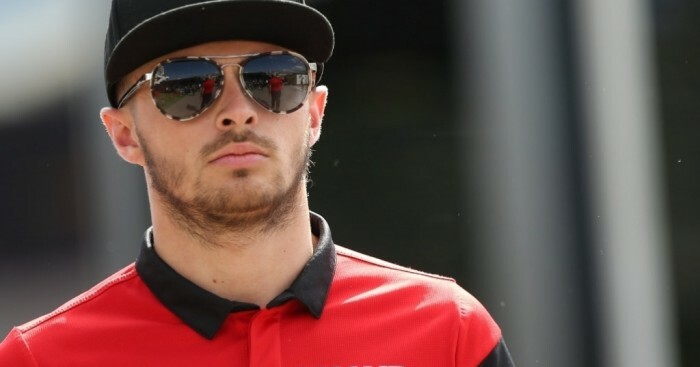 Will Stevens is convinced he can get back on top in his intra-team battle with Manor team-mate Roberto Merhi. Although the Brit held the advantage at the start of this season, their first in Formula 1, it is the Spaniard who has come good of late. Canada was the last time that Stevens finished ahead of Mehri as the latter retired from the grand prix. Since then it has been all Merhi, who even secured Manor's best result of this season as he brought his MR03 home in 12th place at Silverstone. Stevens, though, is confident he can beat his team-mate in their personal battle. "Overall it's positive," the 24-year-old Brit told F1i.com. "The things that have happened in the last few races are just racing, those things are going to happen, it's just happened in two or three consecutive races for us. "But you can see the pace is there, every session we're quicker and even in the race my lap was faster. Every single time it's on outright pace we're always quicker, which is encouraging." He added: "The racing side of things, sometimes it goes your way and sometimes it doesn't. "At the moment I'm learning, the last two races have been mixed conditions, and you've got to make good calls. In those scenarios he's come out better but the hardest thing is to have good pace and at the moment for sure we’ve got that. "I'd prefer to have it that way round and then when things fall right in the races like they did at the start of the year then I'm sure the results will turn round. But overall I think it was a really positive weekend [at Spa]."